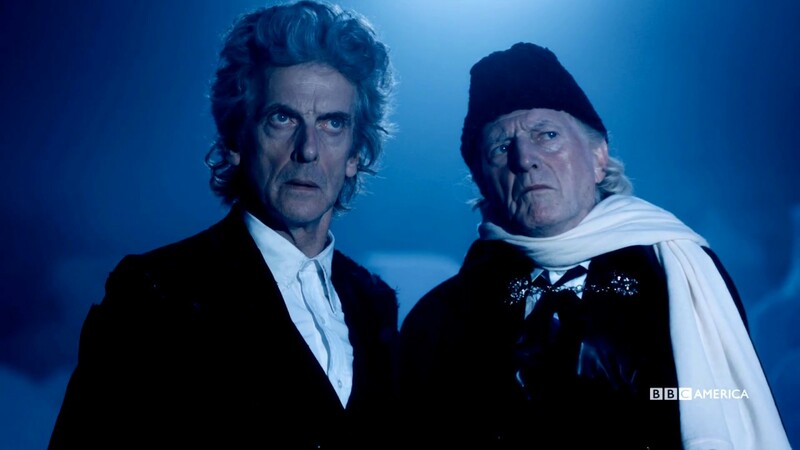 Two versions of the Doctor — the 12th (Peter Capaldi) and the First (recreated by David Bradley) — team with returning companion Bill (Pearl Mackie) and Mark Gatiss‘ Captain to battle a brand-new threat that has frozen time in “Twice Upon a Time,” this year’s Doctor Who Christmas Special. Here’s another clip that teases the action! Thanks to the annual charity appeal Children in Need, the producers of DOCTOR WHO have in years past given fans advance looks at several Christmas Specials, and this year was no different. Today gave us a peek at “Twice Upon a Time,” the final story of Peter Capaldi‘s absolutely stellar run as the 12th Doctor and prelude to Jodie Whittaker‘s debut as the 13th. In this unique regeneration story, the current Doctor encounters the First Doctor, as played by the brilliant David Bradley, who does an uncanny job of recreating the character as played by the wonderful original actor, William Hartnell, who sadly passed away in 1975. Jodie Whittaker, the newly crowned 13th Doctor, gave her first interview to Blogtor Who! Here are the highlights from her comments. “It feels completely overwhelming, as a feminist, as a woman, as an actor, as a human, as someone who wants to continually push themselves and challenge themselves, and not be boxed in by what you’re told you can and can’t be. It feels incredible. The 13th Doctor on DOCTOR WHO will be portrayed by Jodie Whittaker, best known to American audiences from BROADCHURCH. 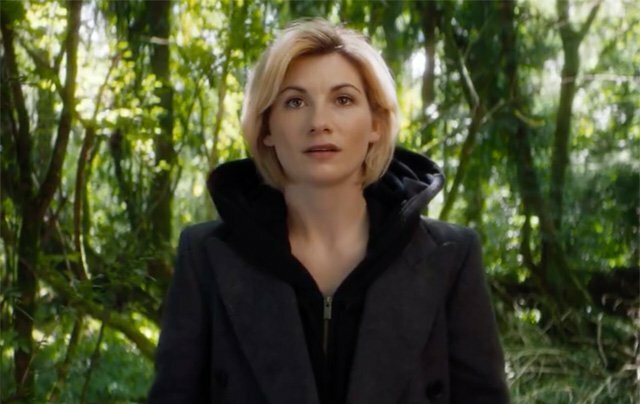 Whittaker, the first woman to ever play the role, takes over from Peter Capaldi, who played the 12th Doctor for three seasons, culminating in the just-concluded 10th series. While DOCTOR WHO fans have known since January that Capaldi would not be returning for the 11th season, word that the identity of the next Doctor would be revealed today only came on Friday, via a wordless video from the BBC. DOCTOR WHO returns to BBC America with its traditional Christmas special on Dec. 25. Full Trailer for DOCTOR WHO Series 10 Is Here! We are now just one month away from the return of DOCTOR WHO. After more than a year off the air — not counting the Christmas special one-off, “The Return of Doctor Mysterio” — it’s been a long, lonely wait for a full season of episodes. 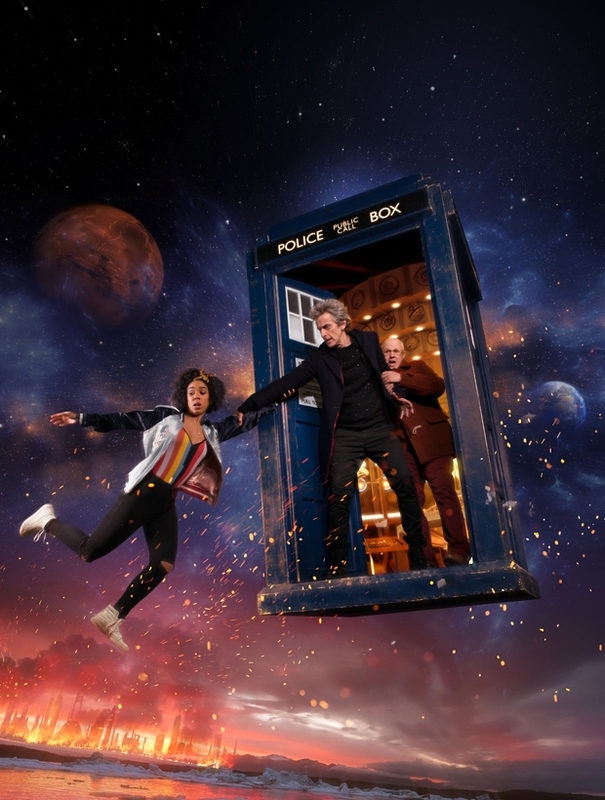 While I am not thrilled with the companion situation — Bill (Pearl Mackie) and Nardole (Matt Lucas) do not fill me with anticipation — the stories look like they could be interesting. If he has to go, then he might as well go out in a blaze of glory, battling his favorite baddies. I’m talking about Peter Capaldi, who is leaving the title role of DOCTOR WHO at the end of this, the 10th season of the revived series. 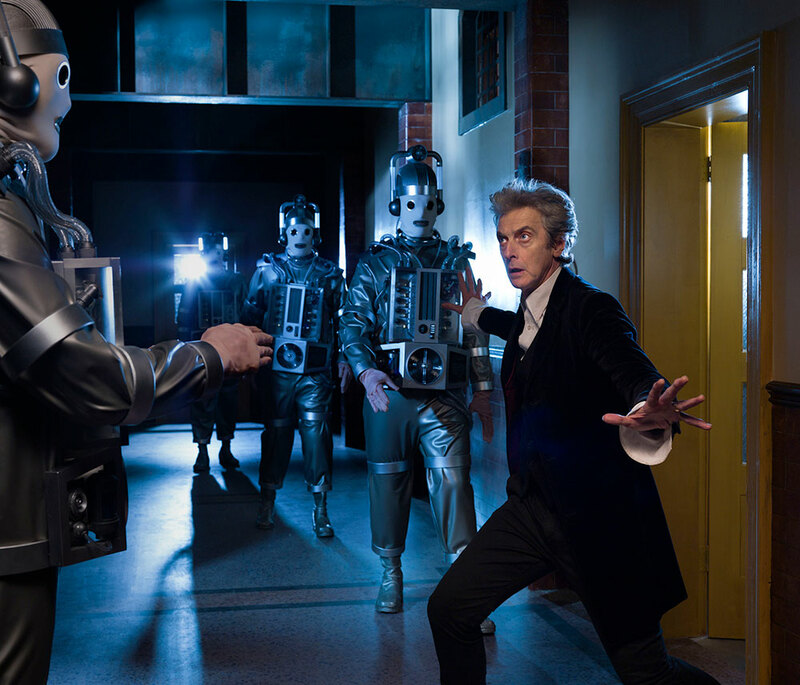 A lifelong Whovian, Capaldi has long maintained that his favorite monsters were the Cybermen — specifically the original Cybermen, the ones that appeared in First Doctor William Hartnell‘s final story, “The Tenth Planet.” The Cybermen have reappeared many times over the ensuing 50+ years, but they never looked the same again. The look of those cybernetic refugees from Mondas — Earth’s twin planet which was knocked out of orbit when our moon was formed — was dictated by the budget constraints of the 1966 serial, thus the silver jumpsuits and ski masks. Everybody can just relax. Chibnall’s got this. New DOCTOR WHO showrunner Chris Chibnall – whose work won’t be seen until after Steven Moffat‘s upcoming 10th series has run its course – has his own ideas about how to cast the next Doctor, and it has nothing whatsoerver to do with what former stars, fans or bookmakers want. Translation: Chibnall isn’t going to cast someone and write to fit the actor; he’s going to create a character and then hire the right person to play that role. I totally agree that he’s doing it the right way. The actor must suit the role, not vice-versa. 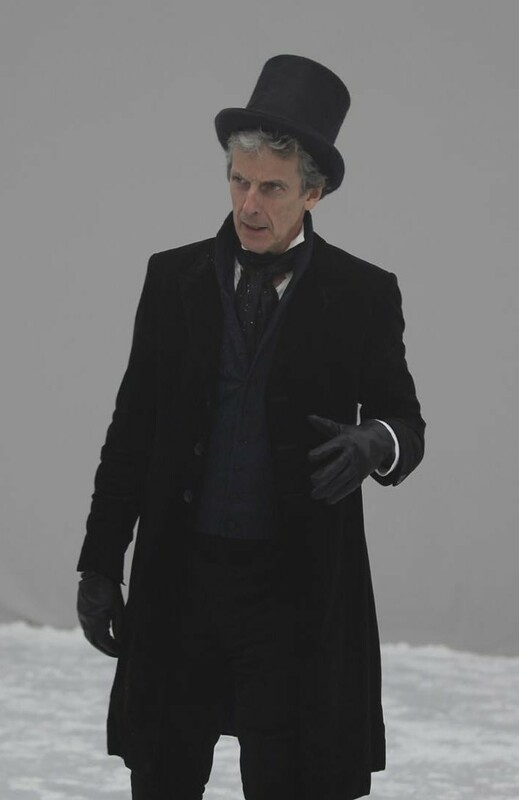 Peter Capaldi‘s third and final season as the 12th Doctor will end with this year’s Christmas Special, in which he will regenerate into the 13th Doctor. DOCTOR WHO returns to BBC America on April 15.